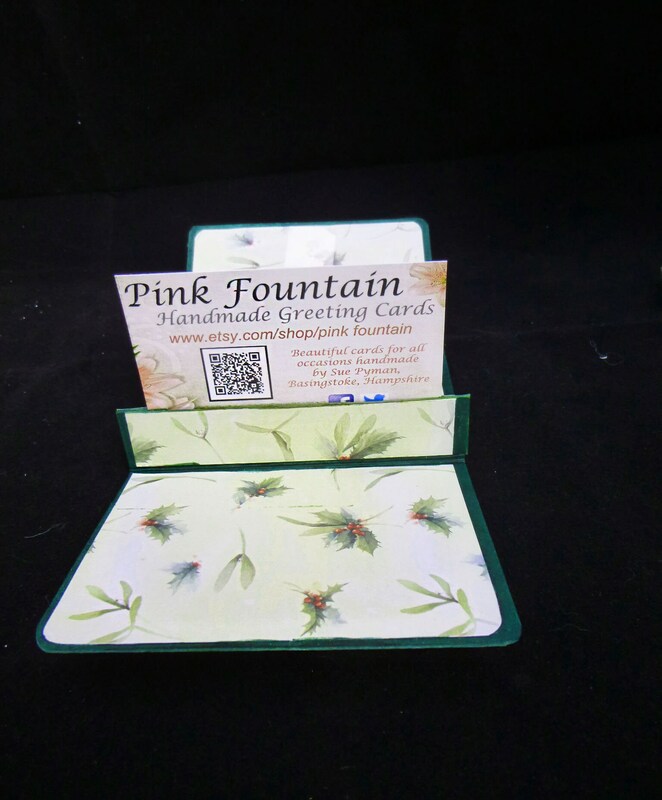 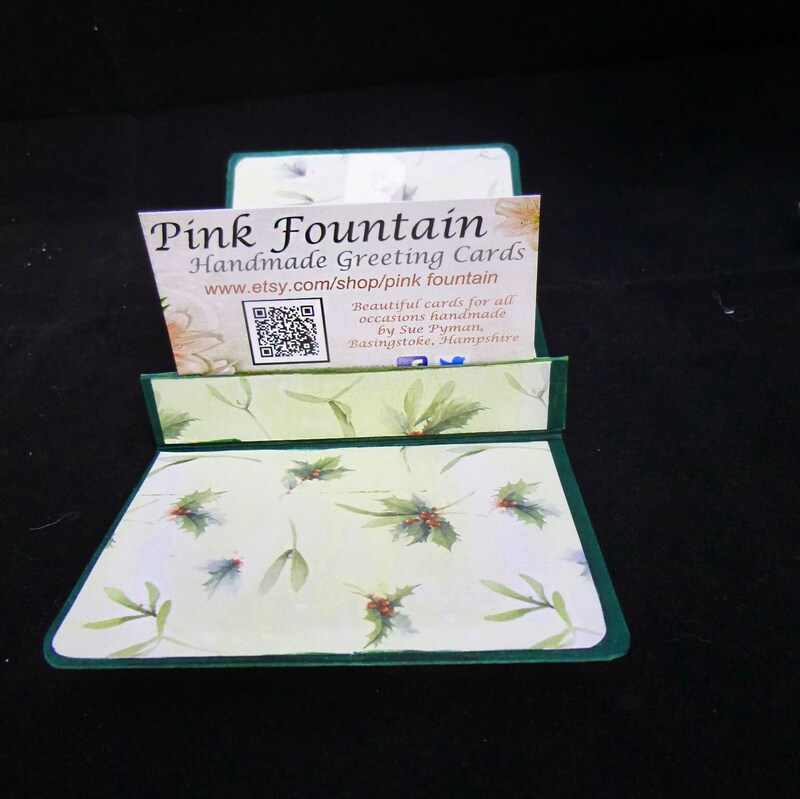 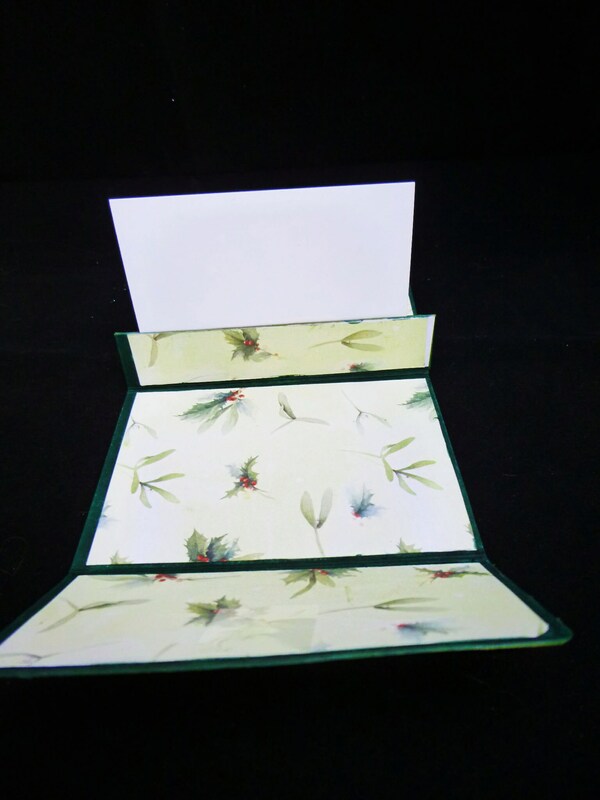 A gift card holder suitable for anyone and would make an ideal stocking filler gift. 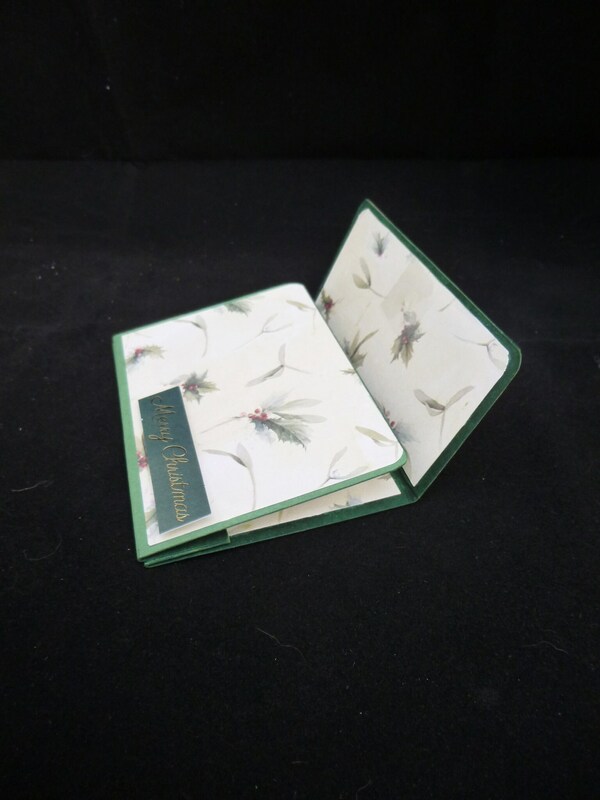 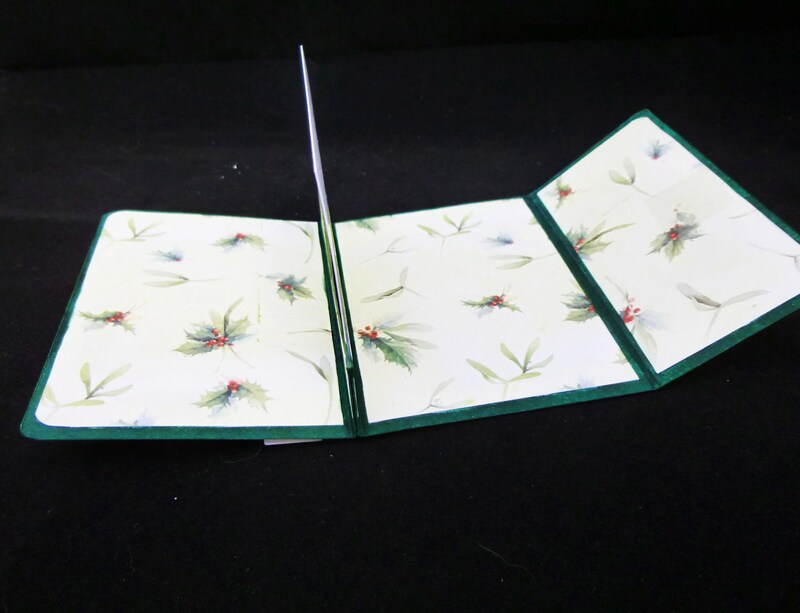 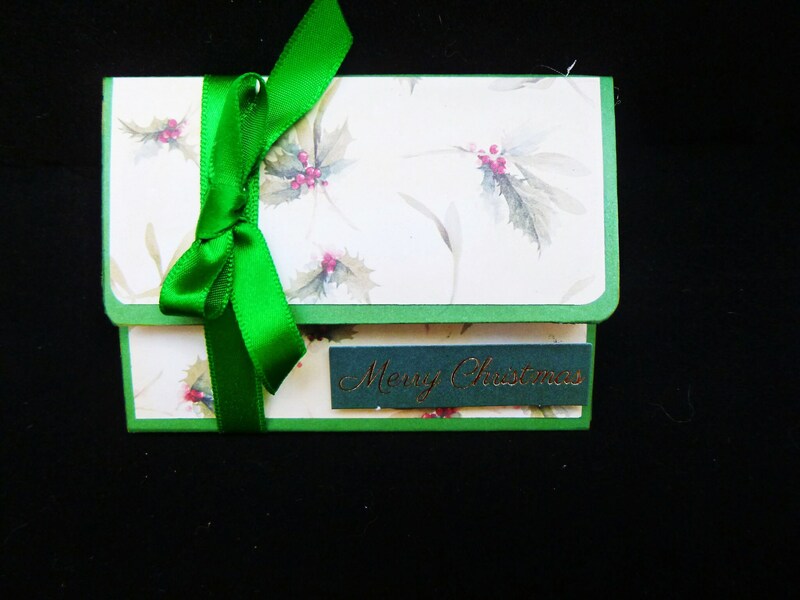 The green ribbon slides off to open into the card holder in the centre of the card. 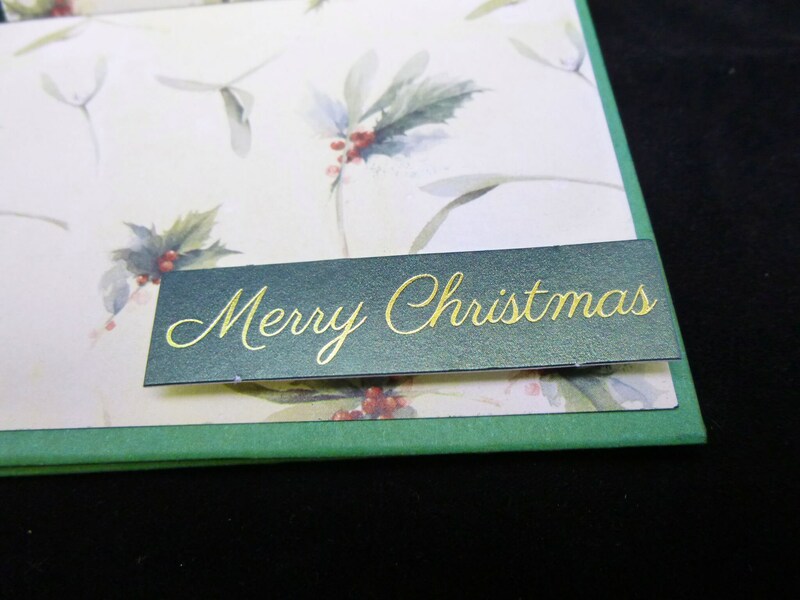 A sentiment on the outside of the card which says, 'Merry Christmas'. 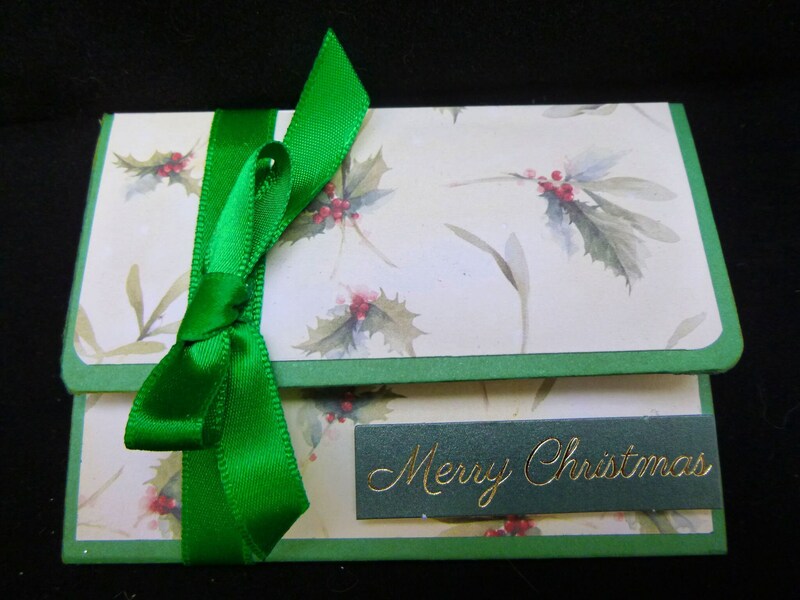 On the inside of the flap is a small piece of clear plastic so once you have put your gift card in you can remove the plastic square to reveal a sticky dot which will seal the gift card. 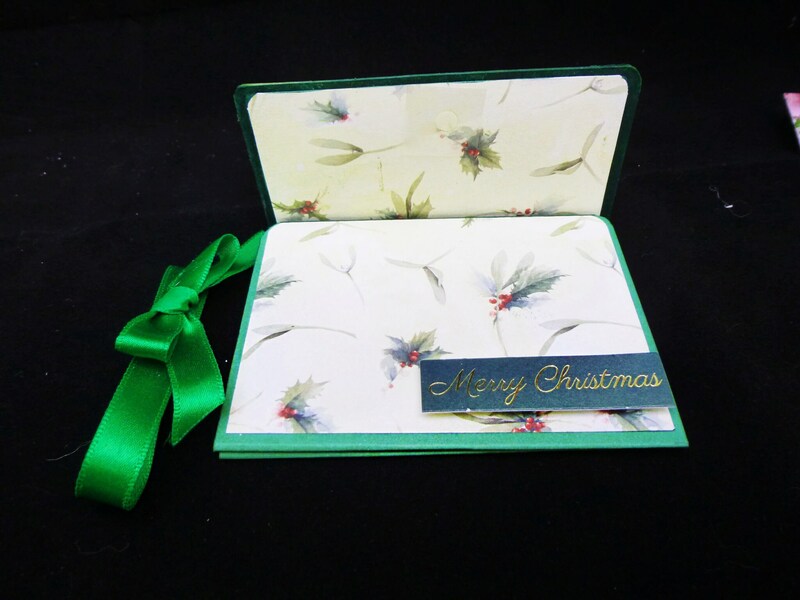 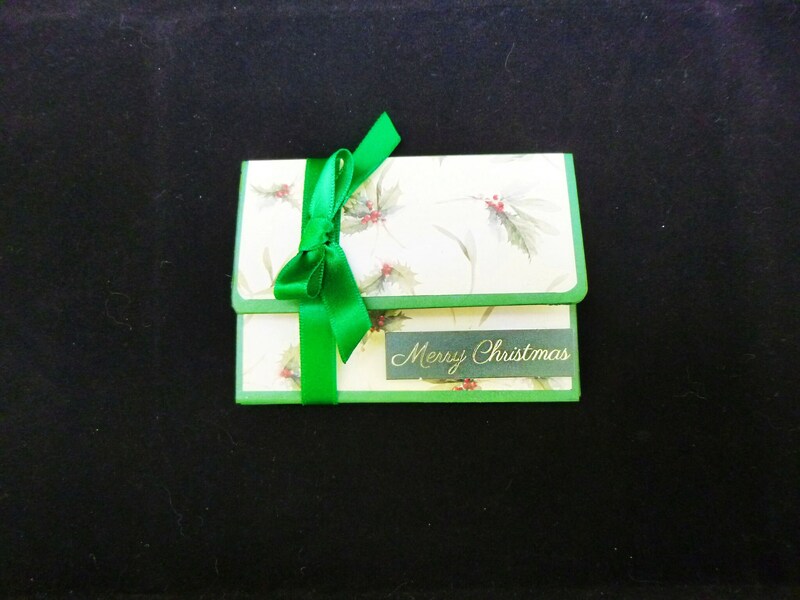 The gift card measures 4 inch x 3 inch, 10 cm x 8 cm, closed.